It’s not quite the time to write an end of 2015 post, which we will definitely do but we just wanted to post about what we are planning/working on right now. 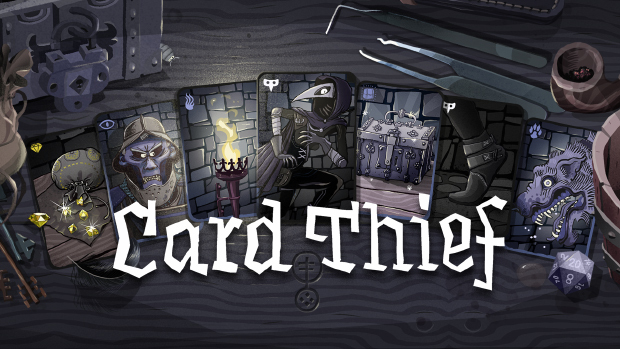 As you might have seen we’ve just announced Card Crawl’s 2nd content updated. It includes 10 new cards and the Deck Merchant which is a Dungeon Deck Editor with which players will be able to play, create and share custom Dungeon Decks. We had a lot of fun creating the new content and coming up with cool new cards. As always these new cards are pretty powerful and some of our more sophisticated players especially Vivafringe (who already tremendously contributed to Card Crawl with his cool guides and tips) voiced his concerns that some of the new cards eclipse some of the old ones or worse replace them. Together we discussed some of the cards that could be changed to be more relevant in the context of all other cards. For me new cards always should feel more awesome and offer something that the old cards can’t. But as Vivafringe pointed out to me it’s not optimal that other cards who had some value now have almost zero value in constructed mode where players can choose which cards to take with them. This is why i plan on releasing a balancing patch beginning next year that will address some of these issues. It’s very likely that this balancing patch will also integrate a reset of the leaderboards for GameCenter and Google Play. While the GameCenter scores are kind of realistic the Google Play ones are infested by hackers with no way to remove those funny guys by hand. For future games we definitely will ignore global leaderboards in general since they just don’t work. Another thing we consider is to improve the Streak-Mode. Streak-Mode has some issues (also pointed out by Vivafringe multiple times) with the difficulty in general. Right now the game does not get harder and thus the optimal strategy for the streak mode is to play as conservatively as possible. It does not encourage any risk taking if you want to just complete games and pile up your gold. This is why we are planning on making the Streak-Mode more dynamic by adding Monster cards for each consecutive win. This would in general encourage more risky play since at some point you will die anyways, so you better get Highscores as quick as possible in earlier streak games and try to survive in the later ones. This could be a good addition and create some fresh competition as well. For this change we have to consider if it’s necessary to move the Streak-Mode out of the Normal-Games, but we will see. The last big thing this year will be the Game of the Year Awards in Germany where we hope to get nominated as best Mobile Game for our beloved Card Fantasy Tavern Dungeon Simulator. It’s always hard to predict what games are going to be in the competition but we are looking forward to the event which is taking place in April next year. You can take a look at last years winners here: Deutscher Computerspielpreis 2014.